Some 500 km (310.7 mi.) of snowmobiling trails at the Réserve faunique des Laurentides. 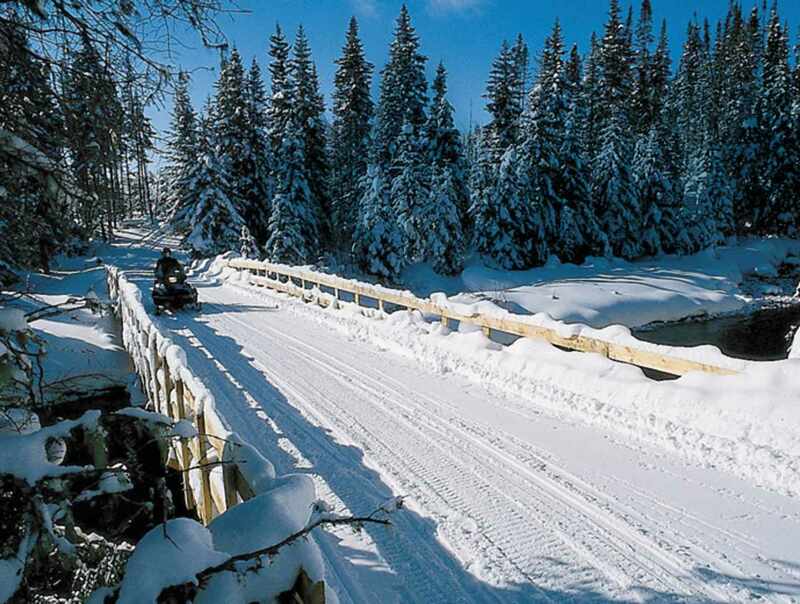 Snowmobilers can explore the gorgeous wilderness comprising vast evergreen forests, snow-capped mountains and frozen rivers in snowy valleys. The trails stretch for miles along the rivers. Hours: May to August: fishing, outdoor recreational activities and camping; September to November: hunting; Mid-December to the end of March: skiing; January to mid-March: snowmobiling. Closed: Closed on Christmas day, December 25th.